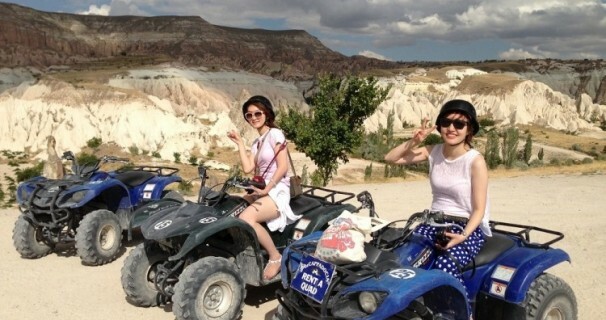 Highlights Swords Valley + Rose & Red Valleys + Cavusin Village "Ghost Town"
ATV excurcions are an exciting, fun and enother way to see Cappadocia. 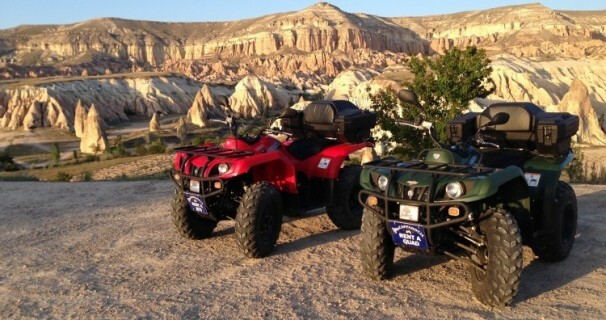 Unique and Spectacular Valleys of Cappadocia giving us an opportunity to experience one of the best Quad Safari of the World. Even if you don’t know how to drive a car and withhout having a driver license, it’s a sport suitable for everybody and it’s very entertaining. 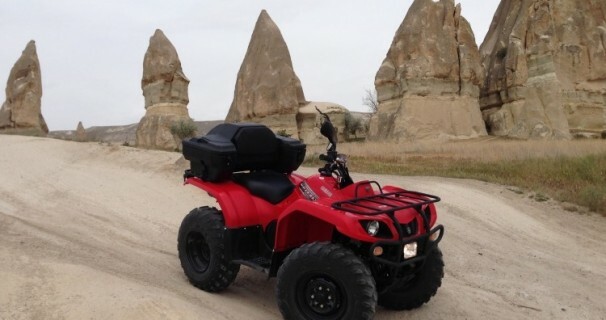 After having a brief lesson about how to ride an ATV-QUAD and having a small meters of training, you will be able to gain the knowledge of riding Quads. 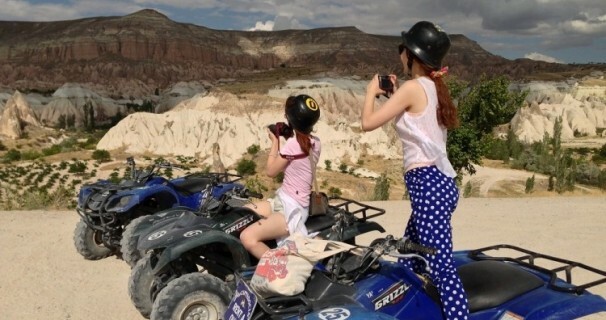 ATV Excursions are tours in which you have adventurous and exciting moments with your family avoiding all the stres and away from the urban life. 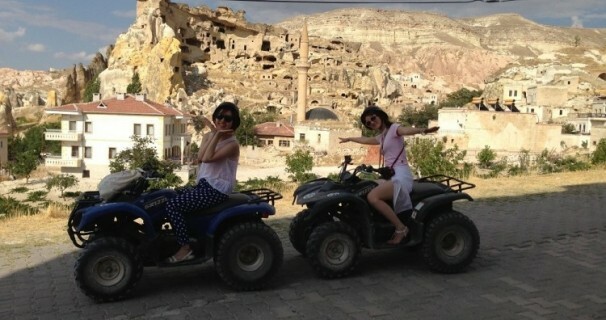 We make sure that every excursion is memorable for all participants. 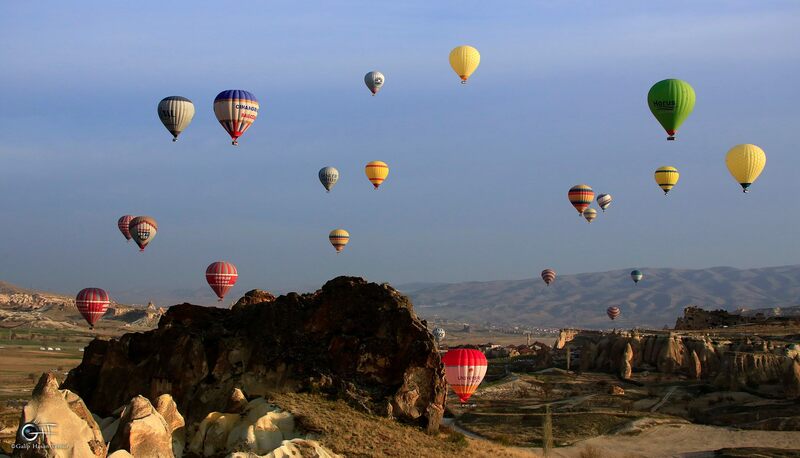 We don’t mix the excursion groups so each tour that we depart from our hotel is unique and you can experience Cappadocia’s tranquillity and beauty with your group through the help of our guides. By not combinig tour groups you have the freedom to choose when and where you stop to take photos, how fast you go and how often you have breaks. Firstly we collect you from your hotel and drive to our Raceocource. 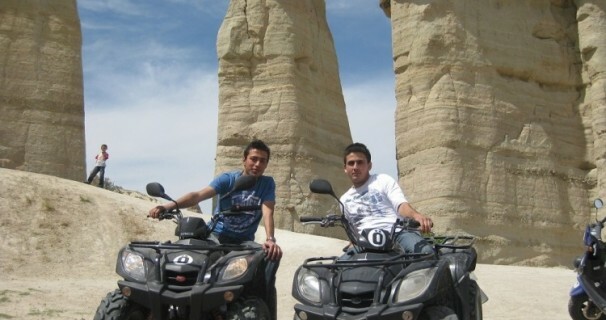 Before we start to our adventure our guide will give you brief information about how to ride Quad Bikes. With your guide firstly you will discover “Swords Valley” which is famous with Fairy Chimneys and amazing rock formations. 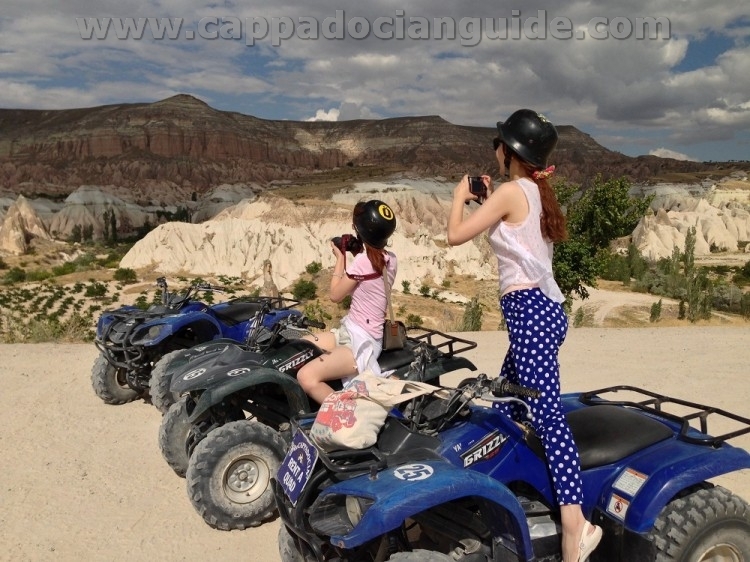 Second destination will be “Rose and Red Valleys” where you will also have break to take pictures of most beautiful landscape in Cappadocia. Last destination will be Cavusin which is one of the oldest cave settlement in the region.